This aesthetic, non-surgical treatment stimulates the creation of fresh, new collagen and restores a more youthful appearance to aging skin. Using gentle ultrasound technology, it focuses on the face, neck and chest. It lifts and rejuvenates skin on the neck, eyebrow and under the chin. It improves lines and wrinkles on the décolletage. Skin can even be tightened under the arms, buttocks, thighs and above the knees. 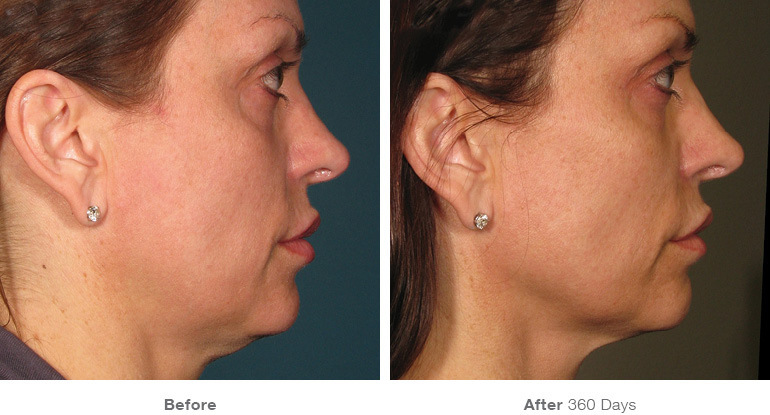 There’s no downtime in this one-time treatment that tightens, tones and lifts loose skin. Results are natural and noticeable.